I came across a meme recentrly that said any good Southern woman had two things in her cupboard– a deviled egg tray and an iced tea pitcher. And for the most part that’s pretty much accurate. 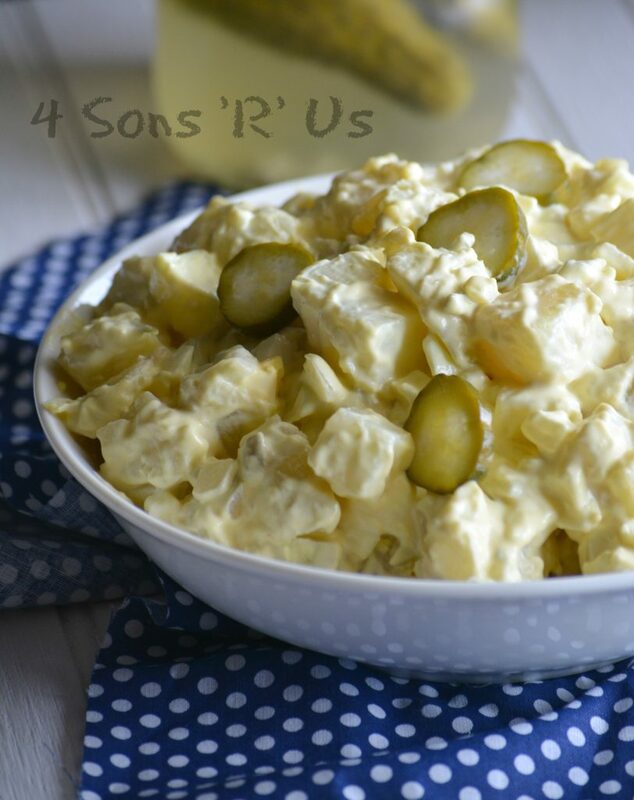 Another thing all us GRITS (Girls Raised In The South) have in common is a good potato salad recipe passed down from our mama’s. While I have no problem tooting my own Mother’s horn… her potato salad is seriously one of the best I’ve ever eaten. I was totally put off when I realized that unlike her, a lot of people down here cram hard boiled eggs into there’s. I didn’t like the taste, the texture. I was totally against it on all fronts. Until I had a friend’s dill pickle infused potato salad and fell madly in love with it. I had to have the recipe, and the recipe I did have. You can imagine my suprise when I reviewed the list of ingredients and it listed hard boiled eggs. I was so surprised I even question my friend, because surely they weren’t in her version. I never tasted a thing. She assured me that they were definitely in there, and that the secret was she doesn’t slice them or roughly chop them but takes an extra few seconds to dice them up into a real mess. Apparently at that point both the white and the yolk blend virtually seamlessly in between the dressing and the potatoes. Yes, you can call me a convert. Not for all potato salads mind you, but for this one– 100% yes. Yes, yes. YES. 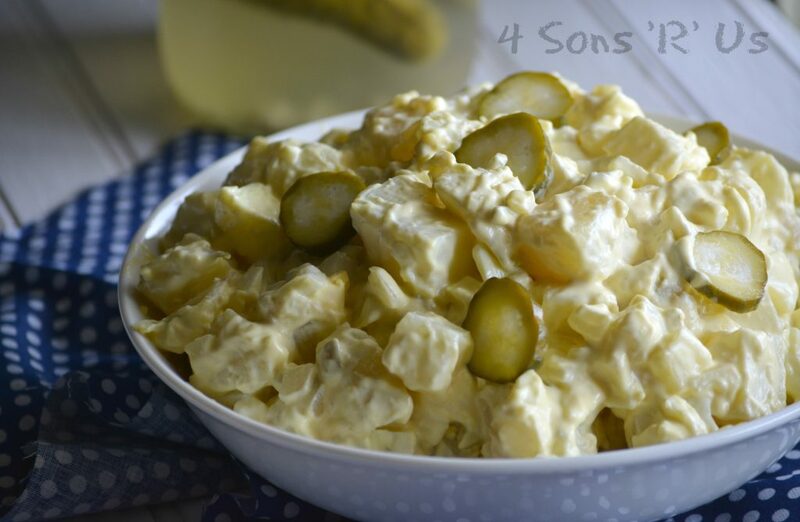 This potato salad is of your typical Southern variety– chunks of cooked, yet still slightly firm potatoes, minced hard boiled eggs, and all tossed in an indulgent creamy dressing– with one exception. We’ve loaded it with pieces of tart dill pickles and even infused the dressing with dill pickle juice. It’s a nice balance with a slight bit of tart brine to the sweet sugary salad. 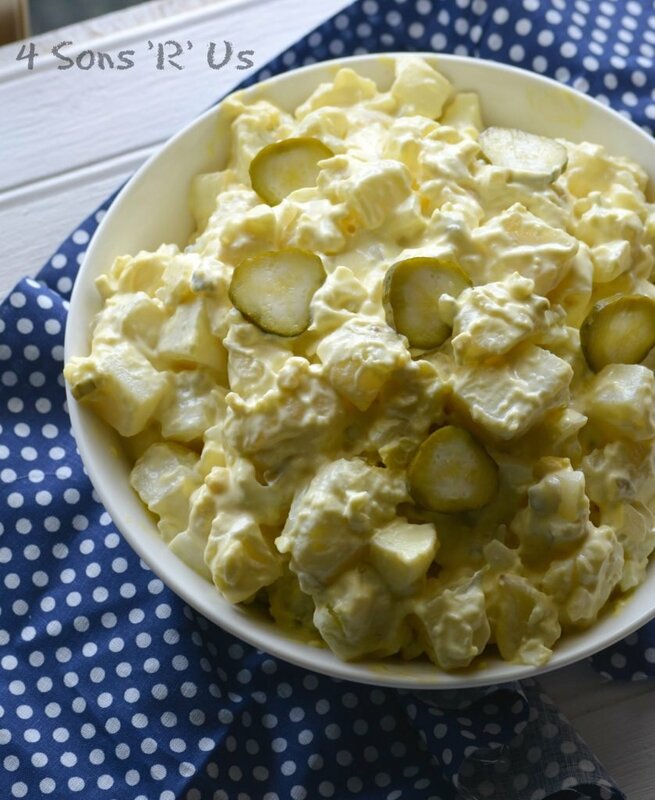 A typical creamy Southern potato salad that's been infused with dill pickle juice with chunks of actual pickle stirred right in for a perfect pairing. Add the potatoes, eggs, onion, and pickles to a large mixing bowls. In a smaller bowl, whisk together the mayo, mustard, pickle juice, sugar, salt and pepper until evenly combined into a creamy dressing. Transfer the dressing to the main mixing bowl and use a spatula to gently toss the ingredients with the dressing until everything's evenly incorporated. Refrigerate the salad until chilled, and serve. This is my Mama’s potatoes Salad, to a T. I have never made it any other way. Holy potatoes! This was amazing! This is the potato salad I grew up with! We would marinate the cooked, cooled potatoes in the pickle juice for a couple hours too. So delicious! That’s a great idea! So happy to be able to give you a recipe similar to the one you grew up with. Absolutely fabulous! Easy but delicious. This is now my go-to potato salad recipe. It’s always a hit. Thanks for sharing!